Short but intense guide „How to make breastfeeding pleasant and easy” is all you need to get prepared for breastfeeding adventure and be able to enjoy it truly! Since breastfeeding newborn is the most natural way, this guide is here to make it easy for you. If you are planning or expecting a baby, it is a perfect moment to study this guide. As a beginner, you will learn everything you need to know about breastfeeding. The book will also be helpful if you are considering if you want to breastfeed or not. Although if you already are breastfeeding and struggle - also check it out! There are plenty of breastfeeding tips that may make feeding more natural and more pleasant for you. The guide also contains some useful tips to follow, that is not precisely basis knowledge but breastfeeding-related, making the job effortless for you. WHEN IS THE RIGHT TIME TO READ THE GUIDE? Since the first breastfeeding happens right after the baby is born, it is best to read the guide while pregnant. But it is helpful for practicing breastfeeding moms too. Also, it is a great tool to show your partner what breastfeeding is really like; you can read it together or ask him to read it after you. Get your copy right away and get well prepared for the beautiful journey of breastfeeding! 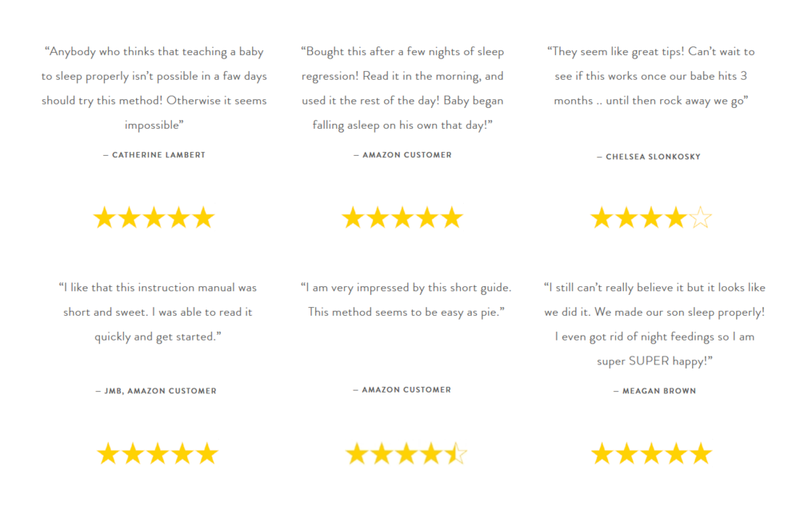 Soon you may also need the „How to teach a baby to fall asleep alone” guide.